Biljana Stojanovic « Translator T.O. As announced at last week’s annual virtual conference in celebration of International Translation Day, ProZ.com will now be offering two distinct packages as part of ProZ.com professional membership: a Standard package and a Plus package. To help spread the word about this, the site team is launching a special “Open Road” campaign during which both packages are being offered at a significantly discounted price. Those who purchase or renew their membership before the end of the year will be eligible to participate in a weekly giveaway for an Apple Watch, and one lucky translator will be chosen for the grand prize – a brand new Nissan Juke – in line with the “Open Road” theme of the campaign. The following is an interview with our first giveaway winner of an Apple Watch – Biljana Stojanovic. Biljana is an English into Serbian translator specializing in chemistry, pharmaceuticals, and engineering. Q. How did you get started in your career as a freelance translator? A. I started as a freelance translator when I was almost 50. After 25 years of work in the Pharmaceutical industry, participation in scientific projects, development of new drugs, a lot of analytical experiments and document creation, I decided to change careers and to do something that I always wanted: to translate. So I left the “safe” job and finished the one-year seminar for scientific, technical and court translators. It helped me to gain confidence, but not to find jobs. I started translating various materials for my friends and acquaintances, but it was far from enough to make a living. Almost two years passed, with very meager results. Then I realized I had to change something. I browsed the web and discovered very useful posts, podcasts, and webinars (Thank you very much, Corinne McKay, Tess Whitty, Marta Stelmaszak, and, of course, Dmitry Kornyukhov!) That was it, I was not alone anymore… About a year ago I discovered ProZ.com, and I think it was the beginning of my new career. A. As we all know, marketing is a vital aspect of a freelance career. Some of us are capable of making new connections easily, finding customers by meeting people and making phone calls. But, like the majority of translators, I am an introvert. I became a member of ProZ.com, I made a profile, and I became a Certified PRO. In the beginning, nothing happened. However, after only one year, I must say that the results are very visible. I have had some interesting jobs, and I’ve acquired at least five very good clients through ProZ.com. I’ve learned a lot by listening to ProZ.com webinars, and by attending ProZ.com’s 2016 international conference in Stockholm. A. I have many plans for the future. Because of my age, I have no time to lose. I have to use all possible shortcuts and to apply the experience of seasoned translators. I am planning to attend at least two conferences every year. It is an excellent opportunity to meet other translators. And it is fun, too! I have to learn a lot, to find better clients. My dream is to create glossaries for my fields of expertise (chemistry, pharmacy, clinical trials, etc.) and my languages (Serbian – English – French – German). Congratulations to Biljana for being the first giveaway winner, and a special thanks for sharing your story here! Interested in entering the giveaway drawing and sharing your own story in this Open Road interview series? 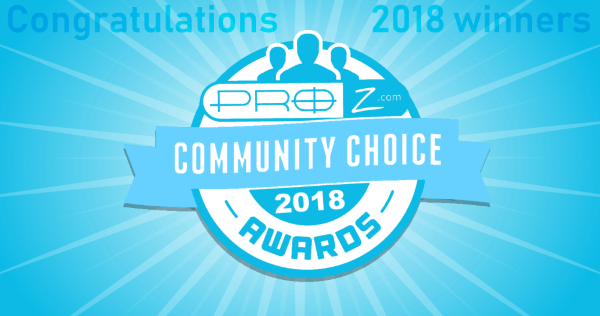 Simply visit the campaign page to purchase or renew your ProZ.com membership by the end of the year: http://www.proz.com/professional-membership. Don’t delay! The special discounted offer on these packages will only last until November 15th.